We could launch a new auto focused online destination by CNET at the North American International Auto Show (NAIAS) in Detroit that immediately puts the industry on notice? While CNET has been covering car tech for years, CBSi came to EWI with the idea of launching a dedicated automotive website that was truly differentiated from the competition. 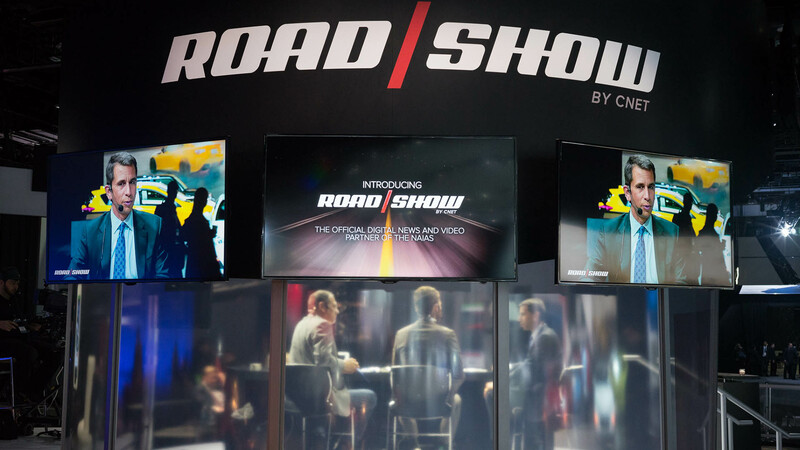 After many brainstorms with EWI and CBSi, the name for this channel became Roadshow by CNET (theroadshow.com). 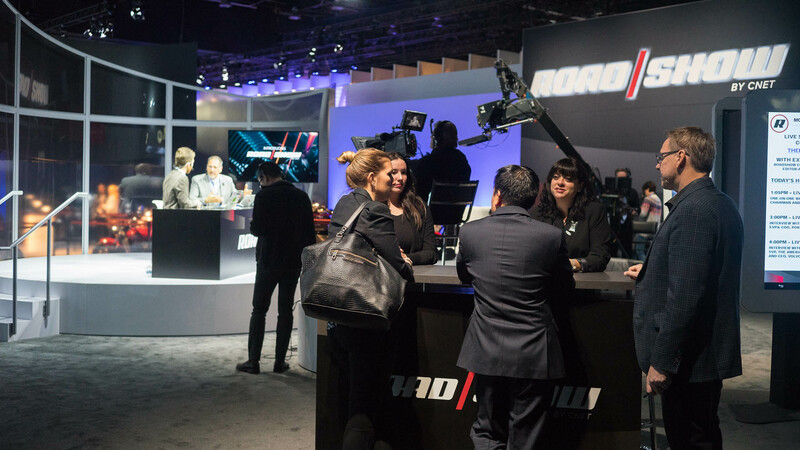 EWI produced various experiential and exhibit concepts for their brand launch at NAIAS with high level strategic considerations being placed on a broadcast stage that could serve as a news anchor desk, as well as accommodate industry luminaries for panels and one-on-one interviews. 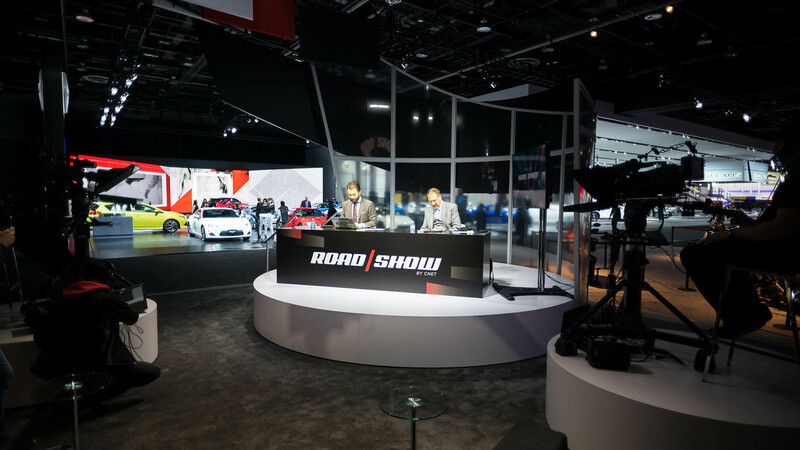 Since Roadshow by CNET is dedicated to covering the tech that fuels the world of modern motoring, the architectural idea for the exhibit was to highlight content and breaking news, linking the visual to the live anchor desk where reporters were covering all the news from the show. This was achieved by creating a half circular truss covered in high impact visual displays. The arch defined the Roadshow by CNET space which was both floor and rigged supported. Additionally, given Roadshow by CNET’s need for real time editing, writing, reporting and production, we created a back of house that was functional as a newsroom and workspace. 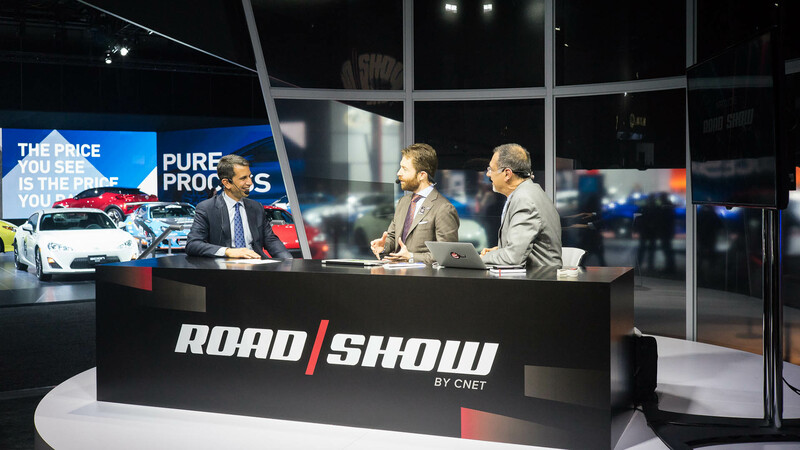 Roadshow by CNET launched successfully at NAIAS and to much fanfare in the industry. 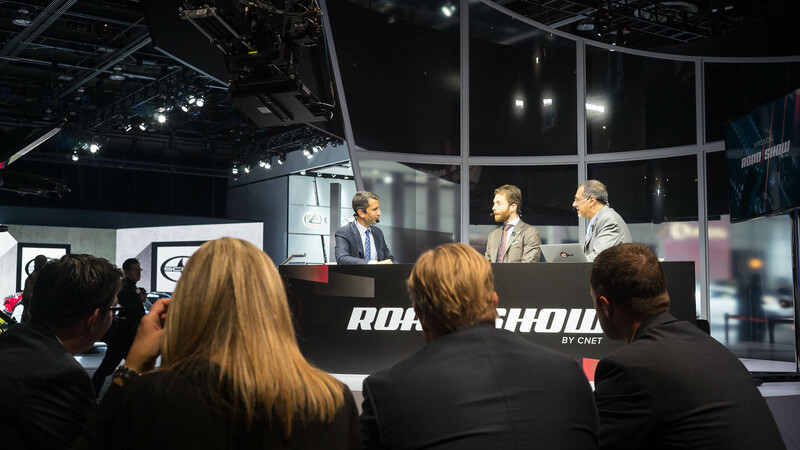 They welcomed top automotive executives to their stage such as Mark Fields and Joe Lawrence. Introduced a successful awards program, and had the best looking broadcast space in Cobo Hall. "EWI was the perfect partner to help CNET bridge the gap between tech and automotive. 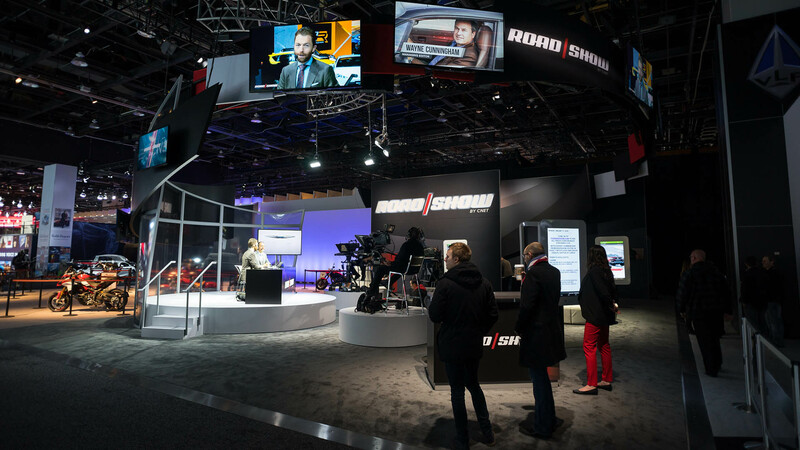 Their expertise in the industry helped us bring our brand to life and maximize visibility at the largest auto show in North America"